A community has a moral obligation to guide young people by providing ample direction, discipline, and to create opportunities for them to live their dreams. Its founders’ desire and ultimate goal has been to bring people together to motivate, challenge and inspire them to take control of their physical health and well-being. The release of stress through freedom of movement, muscle-strengthening helps our youth establish healthier, balanced lifestyles. Developing the complete being - mind, body and spirit – allows us to reduce the onset of illness and disease related to stress. Our vision for Youth and families of Poughkeepsie will create meaningful opportunities for the most vulnerable members of our community to develop the discipline required to succeed in school, prepare for college, and life success, in general. M*POWER, over the years, has become a safe haven for many children and families in the City of Poughkeepsie. 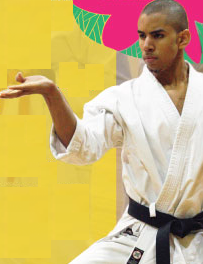 We regularly offer classes in Martial Arts, Dance for children, Afro-Caribbean Fitness for adults. Instructors take a special interest in our youths' academic potential. Their creative and physical abilities are nurtured as we partner with parents to build strong, confident youth who are prepared to become leaders in this community. M*POWER is currently part of the 21st Century Community Learning Center Grant offering FREE Martial Arts and Dance programs in the following schools : Krieger Elementary, Morse Elementary & Poughkeepsie Middle School. The program's outreach has been successful in servicing 30+ students in each school. We are grateful for the partnership that has been developed with the Poughkeepsie School District, R.E.A.L. Skills Network Inc., Vassar College, Dutchess Community College, Arts-Mid Hudson, and The James Brown Family Performing Arts Center, who have supported us in our efforts to continue servicing the youth and families of this community. M*POWER combines the twin disciplines of Dance and Martial Arts to offer students a unique opportunity to strengthen mind, body, and spirit. Toni and Joe Llanos and their children are realizing their dream of running a studio/dojo in the Poughkeepsie area. Joe, a 3rd Degree Black Belt, and son Julian, a 2nd Degree Black Belt, provide traditional Okinawan Martial Arts classes. As dancers/choreographers of M*POWER Elite both Julian and daughter Maya, assist with dance classes for children. M*POWER - Center For Cultural Fitness, Inc. serves the City of Poughkeepsie by providing classes and educational forums to empower and enlighten youth, young and old, on their journey to establishing a healthy lifestyle. Our suite of programs provides motivation and inspiration to youth who seek to build self-confidence and develop life-long habits to improve physical, mental, and spiritual well-being. Our programs re-enforce the relationship between scholastic performance, college readiness, and life success. Several have gone to college out-of-state and are enjoying the fruits of their labors and the discipline they developed as M*POWER dancers and martial artists. We continue to reach out to local schools, parents, and community leaders. By joining forces we plan to work together to instill the importance of regular attendance, good grades, and respect for authority in students who participate in our programs. M*POWER Dancers is a program for children ages 5 & up who fall in the Beginner/Intermediate dance skill level. Although the program features Hip Hop dance styles, students are encouraged to explore other dance genres. This program is developing to include instruction in the following dance styles: African, Modern, Liturgical, Jazz, Contemporary, Latin & Folk. This will provide students an opportunity to explore their own divine gifts and receive technical skills while enhancing their creativity and performance level. Ms. Toni Llanos is the Director and among the Choreographers who instructs & guides students to increase their physical abilities, strengthen their dance skills & develop and maintain respect for themselves and others. In creating dances, maintaining integrity and value of self within the music that is used as well as their dance movements is highly stressed. They are encouraged to become leaders instead of followers of society's mainstream music, dance videos and performances that are so often imitated by our youth. M*POWER Elite Dance Team is a powerful dance crew that was established in 2007 in Poughkeepsie, NY. Presently their ages range from 14 to adult. Auditions are held to become a member of the Elite Dance Team. Our dancers are encouraged to enhance their dance skills and creative abilities. Since 2011, members of the Elite Team have attended the annual PULSE On Tour Dance Convention. Several have received full and partial scholarships to attend these dance conventions. In addition our dancers seek further training attending classes and workshops at Broadway Dance Center, Exile Professional Gym and our local "sister school" New York Academy of Ballet (NYAB). They have had the privilege of training with renown choreographers such as Brian Friedman, Cris Judd, Tricia Miranda, Dave Scott, Laurieann Gibson, Kaelynn "KK" Harris, Theresa Stone, D'Nay Baptiste, Shiva Ware, Ana "Rokafella" Garcia, Janelle Ginestra, LUAM, Archie Burnett, Bravo Lafortune, Javier "Ninja" Madrid, Kim Holmes, James "Cricket" Colter, Danielle Polanco, Steve Rooks, Mary Sbordone & Alessia Gaetana Santoro. M*POWER Elite works long, hard hours to take their skills to the next level of performance. Under the musical/dance direction of Joe & Toni Llanos, the Elite Dance Team has gained the confidence to create many of its own dance mixes. 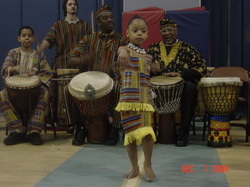 The Team’s dance performances have utilized music from a variety of genres such as Gospel, Hip Hop, House, African, Bollywood, Classical & Spoken Word.